Knowledge of science and technology permeates every social space, and is central to the ways we govern ourselves today. This blog focuses on what the current debates in science, technology and environmental science mean for policy and vice-versa. It aims to be a truly interdisciplinary platform seeking to bring together a range of diverse voices on these subjects in order to stimulate debate and discussion. The University of Manchester has a rich and diverse community of academics interested in science, technology and environmental policy, extending out into scholarly networks across the globe. This stream of Manchester Policy Blogs is well-placed to bring together comment on these areas of contemporary society and will play host to a variety of informative, progressive and challenging pieces taking diverse topics as their subject matter, from molecules to mountains, corpuscles to the cosmos. Some of the greatest challenges we face, whether local, national or global, depend in some way upon these areas of knowledge production and application. Our policies on water, food and energy supply and consumption, on the climate and our ecosystem must make full use of the knowledge we have available if we are to move towards a more sustainable future. Research into the contemporary nature of governance and public policy will have important implications for how we understand the challenges and opportunities presented by these grand challenges. Conversely, emerging findings in neuroscience might prove vital to improving care for vulnerable populations or to our better regulating drugs, or improving our education and legal systems. Nanotechnology, GM and synthetic biology are all promising avenues of research that might change the way we manage and implement agriculture and healthcare. Evidence-based policy-making cannot be separated from its deeply social and political contexts. The current Coalition government is engaging in a socio-political restructuring of technoscience research, innovation and application. Dimensions of the social, political and economic are deeply entangled with science and technology, whether it is David Willetts’ promise that the government can play a role in making the ‘eight great technologies’ bring about a “new, high technology industrial revolution,” or concerns over the way in which GCSE and A-level examination arrangements encourage teachers to push ‘inspiring practical work into the margins’ and focus instead on repetitive preparation for tests. The choices we make for ourselves and the organisation of our society are not to be reduced to facts alone, but should also be derived from a commitment to the principles that might help produce a more equal, just and prosperous community. Science, technology and environmental policy thus has to be debated against this background of sociotechnical forces, with an eye both on the facts and on values, principles and social norms. This blog will contribute to an ongoing conversation about these issues, as part of the wider Policy@Manchester initiative. We hope you’ll become a regular reader of our posts, which will be published every Wednesday at 7.30am, and engage in the debate with us by posting comments, sharing content via Twitter and sending your own submissions to policy@manchester.ac.uk. Dr Daniel Fitzpatrick is a Research Associate in Politics at the University of Manchester. He is involved in interdisciplinary research investigating systematic solutions to the grand challenges and opportunities presented by the water-food-energy nexus. 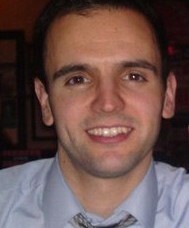 Dr Andy Balmer is a Simon Research Fellow and Lecturer in Sociology at the University of Manchester. He is a co-editor of the Science, Technology and Environmental Policy stream of Manchester Policy Blogs. His research explores issues relating to the production of truth, justice and individual identity, and particular areas of interest include fMRI, neuroimaging, polygraphy, lie detection, synthetic biology, biological anthropology, metaphors, philosophy and sociology of deception, surveillance, and technoscience as legal evidence.